Meeting a famous person can be quite overwhelming but meeting popular figures like Pope Francis up close is truly a previous blessing. 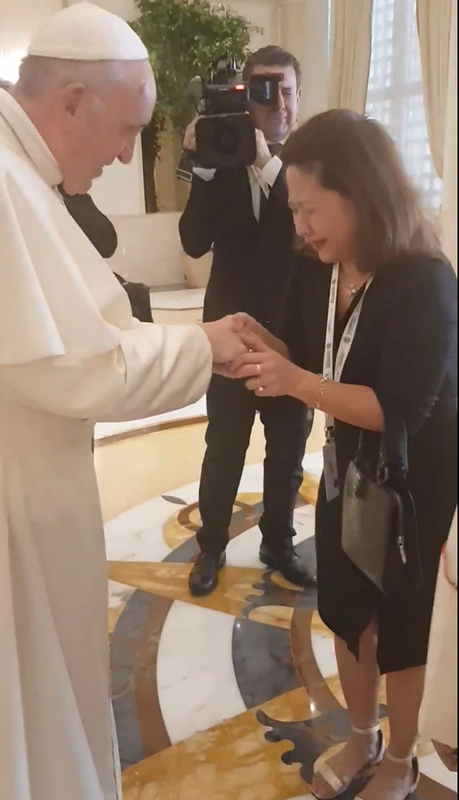 One Filipina was so overcome with emotion that she cried after seeing the pontiff. 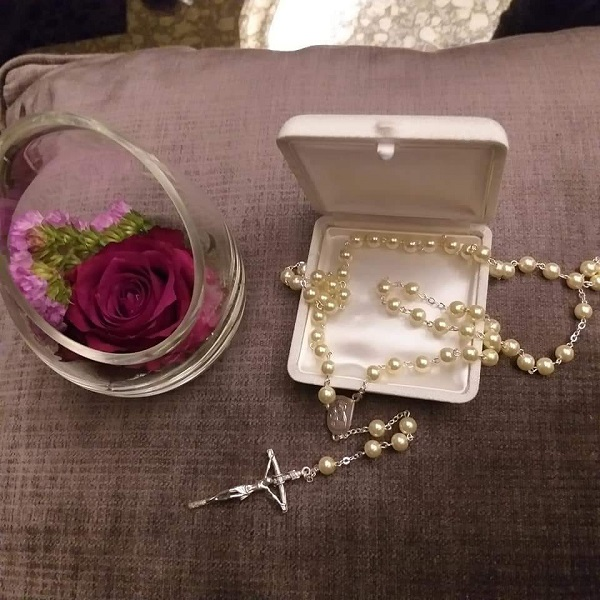 In turn, he granted her his blessing and gave her a rosary as gift! Lucky woman. Sally Chan Mallari became a widow 13 years ago. As the sole breadwinner of the family, she worked hard to improve her career so she can provide a better life for her family. She started working as cashier, before rising up and eventually finding a job as personal assistant to a dignitary in the United Arab Emirates (UAE). One of the perks of having his job is meeting a lot of famous people, including the Pope! In Pope Francis’ historic visit to the UAE, he stayed at St. Regis Abu Dhabi. 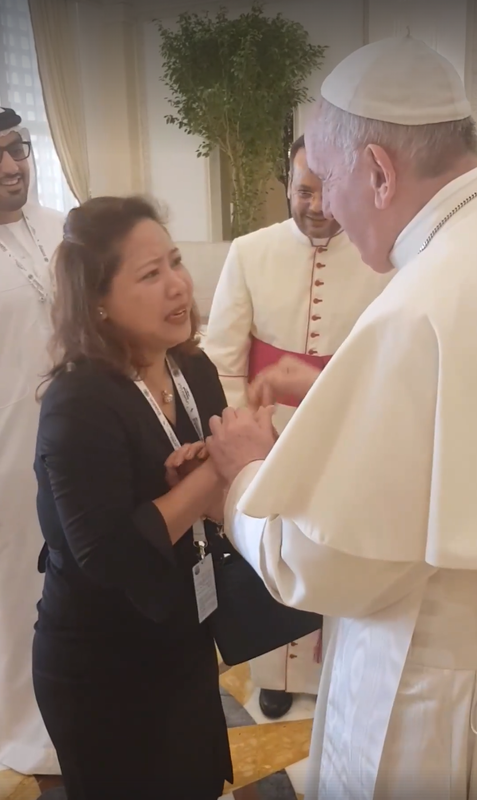 Knowing the pontiff will pass by anytime soon, Sally and her colleagues positioned themselves at one of the exits at St. Regis Abu Dhabi, giving them a better chance of meeting the Pope up close. True enough, their waiting was not in vain. Feeling overwhelmed and unable to contain her excitement at the meeting the Pope, Sally cried. As the pontiff drew near, she ran to him and too his hand, kissing it in reverence as he kindly consoled her. It was just a brief meeting, yet Sally felt so blessed. 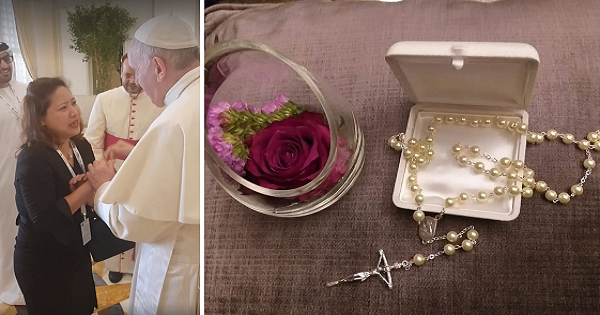 She would later share a photo of the rosary she had received from Pope Francis. She also shared what she asked the Pope during the brief encounter. “..I was talking with Pope.. would you like to know what I have told him? "Father, please bless this nation, please bless the UAE for bringing you to us.."
Pope Francis: "Bless you child.. Bless you."